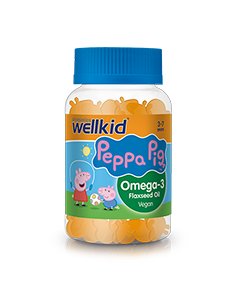 Wellkid Peppa Pig Pro-tummy soft jellies is a great tasting, natural orange flavour microbiotic supplement providing 5 billion cultures for young children, aged 3-7 years. Includes calcium which contributes to the normal function of digestive enzymes. 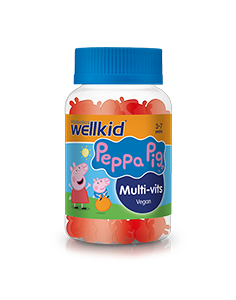 Wellkid Peppa Pig Pro-tummy provides 5 billion cultures from 6 scientifically studied strains of bacteria, specially formulated for young children to include a combination of both live and sterilised (tyndalized) cells. 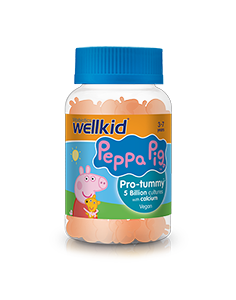 Wellkid Peppa Pig Pro-tummy also provides calcium which contributes to the normal function of digestive enzymes. Calcium is also beneficial to the normal growth and development of bone in children. Kids can be very particular about their likes and dislikes so it is important to give them a supplement that tastes great and that they are happy to take. Wellkid Peppa Pig Pro-tummy are premium quality soft jellies in a delicious natural orange flavour that kids love. These soft, gelatine and lactose free jellies are suitable for vegetarians and vegans. 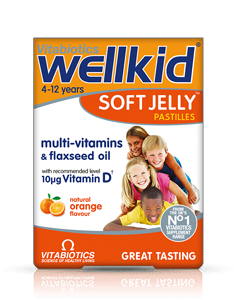 The soft jellies have been developed by Vitabiotics’ expert nutritional team with the highest standards of quality control. 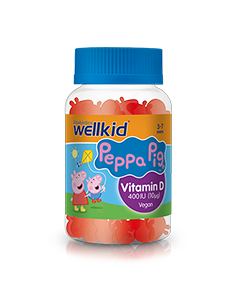 "The Wellkid Peppa Pig vitamins are the first vitamins my five-year-old son has ever willingly taken! Normally, he can't bring himself to chew let alone finish a gummy vitamin but he actively looks forward to taking these. I've had to hide the jar from him as he's so keen! The other day, we came home and he ran straight to the living room to get a vitamin, which he sat sucking while doing his homework - unprompted! They seem to be something of a miracle product." "I would like to thank you for your outstanding Wellkid products that I have recently tried over the last occurring months. You see, I cannot have certain foods because of my dietary needs. I will continue buying your products as I enjoy them greatly and prefer them to other brands. Sent with many thanks. " "I have been using Vitabiotics for my children for many years and I am very happy with it. First of all, we trust the brand, the children like the tablets as they are chewable and taste great, and unlike many others in the market, they are also suitable for vegetarians. My children take them daily: One of my children is the Italian and British U10 Chess Champion, one is already studying a degree course in Mathematics at the age of 15 (not to mention his other many academic achievements at a very young age) and one is a little prodigy in playing the Piano, therefore is essential I take good care of their diet, especially when travelling to other countries, and I feel they benefit from good vitamins supplements like WellKid." "I have recently started using WellKid baby drops for my daughter who is currently 8 weeks old and am writing to say how fab they are! The syringe makes it so easy to give to her and she LOVES the orange taste! She is actually getting excited when she sees me get the bottle out to give her and opens her mouth and looks disappointed when it is all gone! I will be continuing to use the wellkid products throughout her childhood! " "My son has been taking your products since he was a baby, he has good health and is very advanced, he is bilingual and the tallest and strongest in his class. He is 7 and is size 10 on clothes and size 4 in shoes!!!! A big lad. Thank you." "I have been giving WellKid Baby & Infant Liquid to my 23 month old daughter for over two months now and seen a big difference in her. She has become more energetic. I think this product is great and would recommend it to anyone." 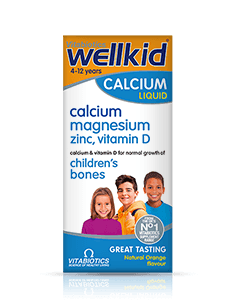 "My children actually love the Wellkid Baby & Infant Liquid, they get all excited when I tell them they will get a spoon, so that’s great! " 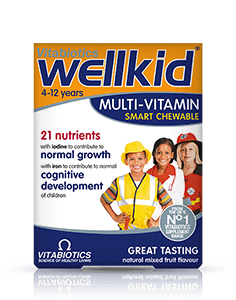 "My children have just tried the WellKid Soft Jelly Chewable vitamins and both agree they are the best tasting vitamins I have ever tried to force down them !! Actually they asked if they could have more. That gets my vote. Thanks." "Since 6 months old I've been giving my baby Wellkid- Baby & Infant syrup. 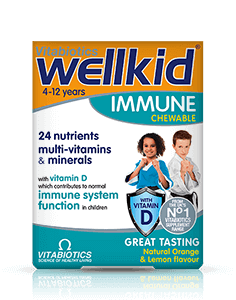 I'm very pleased with it and am telling all my friends about it"
"My kids have been taking WellKid Chewable for 3 weeks and have greatly improved. I would highly recommend it to any kids!" "“My son (aged 10) has been taking fish oil supplements for 4 years now, and although they have improved his concentration they didn’t make change to anything else. 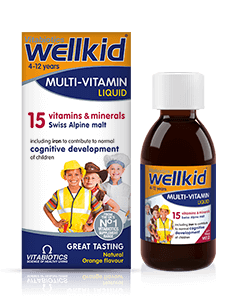 While taking WellKid I have noticed benefits in all areas” "
"“I believe the WellKid vitamins have done Heena (aged 6 ½) good. She has always been reluctant to go to bed, but I do think she has been sleeping better. Although she eats a good variety of fresh fruit and vegetables she was normally quite reluctant to eat very much, but since she started the WellKid she has also gained some weight and looks healthy.” "
"Carolyn (aged 10) I have seen a change in how long she can concentrate which is good in any child"
"After 3 months of taking WellKid Chewable, 4 year old Claire found benefits in concentration, memory, energy levels and her immune system. Her mother commented “Great multivitamins. Fantastic- thank you!” "
"Martin is a 4 year old little boy. After 3 months of taking WellKid Chewable, it helped provide him with significant support with his concentration. His mother commented “WellKid has helped him to concentrate at school and his teacher even commented he seems to have grown up overnight!"" "Helen is a 9 year old girl who took WellKid Chewable for 3 months. After the first month she found benefits in energy levels as well as her sleep. Her appetite also improved. This continued during the second month and by the end of the third month her mother had noted significant benefits in appetite, sleep patterns, energy, as well as immune function. She commented that “WellKid is much better than other tablets. 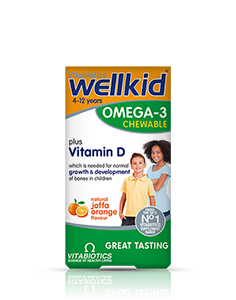 The best thing about WellKid is the combination of much needed iron, vitamins and omega-3 in just one tablet! Brilliant, a wonder tablet!! ”"
"Great product for kids, well priced and tastes good. first multi vit that my son actually enjoys taking!" Always read the product directions before use. Do not exceed the recommended intake. Do not give to children under 3 years. Chew before swallowing. Food supplements must not replace a varied and balanced diet and a healthy lifestyle. As with other food supplements, consult your doctor or pharmacist before giving to your child if they are under medical supervision, have epilepsy, suﬀer from food allergies, or are allergic to any of the ingredients.